Writing a thank you note to preschool teacher for teacher appreciation week or at any other time requires some work. You must take great care to do this right because you want to give the teacher the best possible feeling in their soul when they receive this note. There are some tips below that will show you how to build the best note, how to make the teacher feel great, and how to help them know that you love them for what they do. 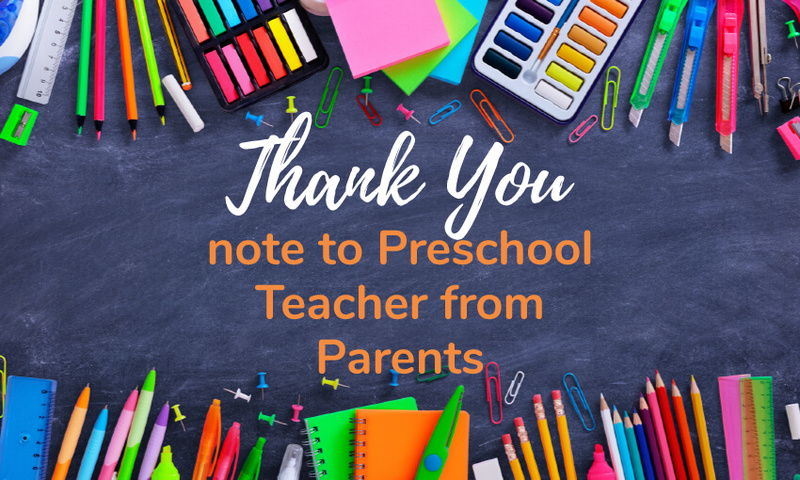 The thank you note to preschool teacher from a student should be something that the parents write on the kid’s behalf. There comes an age when the kids can write a note to their teachers, and you must guide them in writing something that will make the teacher’s heart flutter. The first step in any note is a good greeting, and you want the kid to talk to the teacher the way they would normally talk to them. Some kids will say hi, and other kids will say hello. Certain kids want to start with Dear Teacher, and still more kids will want to simply use the teacher’s name. Ask your kid how they would normally address their teacher, and you can go from there. A. What Is In The Letter? You want kids to tell their teachers that they appreciate them, that they learned something useful, and that they remember something special from the school year. There are a few sentences below that you could use with your kids so that they write the best letter for the teacher. You can use a few sentences like this strung together to create a letter. The body of the letter will let the teacher know how the school year went in the eyes of the kid. The kid can tell you all the things they loved doing in school, and the teacher might learn a thing or two in the process. B. How Do You Close The Letter? You must close the letter in the way that you know your child would close it. You could have a more formal and proper child say sincerely, but other kids will say love. Let your kid tell you what they want to say to their teacher. They have a very good idea of how they want to talk to this person, and you must let your kids guide you. Every closing that you use should be something that the teacher will expect. You know how your kid is most of the time, and you can use that information to help complete the letter in the best way possible. You must let your kids choose from a few phrases you like, or they could tell you what they want to say. You could deliver the letter in an envelope, or you might slide it into a card that comes with their gift. You should ask your child if they want to write the letter, or you could write it for them. They might also want to write the teacher’s name on the envelope or the outside of the letter. Make certain that the letter is delivered in a package that looks like it came from your kid. The teacher will have a smile on their face when they get a big pink envelope from the girlies girl or a letter on formal stationary from the boy who likes to wear a tie to school. The delivery of the letter is often the most important part because teachers feel so much joy before they ever read the letter. Thank you notes from parents should be much more extensive when they are given for teacher appreciation week. You will be pretty happy with the letter if you sit down and think about all the little things that you appreciated about the teacher. You are welcome to write the letter in formal language, and you might choose to use the teacher’s first name. Teachers are called by their last name all day, and it would be better for you to talk to them like an adult. All these openings make your letter much nicer to read, and the body of the letter must be laid out so that you cover all the topics that are most important to the teacher. You want the teacher to know how you feel about them, and you want to write in the style that is best suited to your personality. They want to know you as an adult, and you could become their friend if you close the school year well. A. What Do You Say? You must let the teacher know how you really feel about them. You are both adults, and you can express extreme thanks and admiration in this letter. This is the time that you tell the teacher that you liked the way they dealt with your kid, or you could tell them that you liked the way you ran the class. This is the perfect time for you to share all the little things you learned from the teacher, and you can tell them that you know how much they love your kid. Teachers need to be thanked for their service just as much as people in the military. You should spend some time in the letter letting the teacher know that you appreciate all that they have sacrificed just to be at school. You must talk to them about the things that you want to help them with, and you could offer your assistance in the future. Some teachers always have the same parents helping them because those parents were willing to offer their services. You might be one of those people. You can close the letter any way that you want. Writing to another adult is much easier because you can tell them anything and they will understand. Let the teacher know that you appreciate them, or have great admiration for them. This part of the letter lets them know where you two stand. You must use quotes as much as you can to make the point that the teacher matters, and you could open the letter with one of these quotes. You might write the quote on the envelope, and you could use the quotes inside the letter to help the teacher remember how special they are. 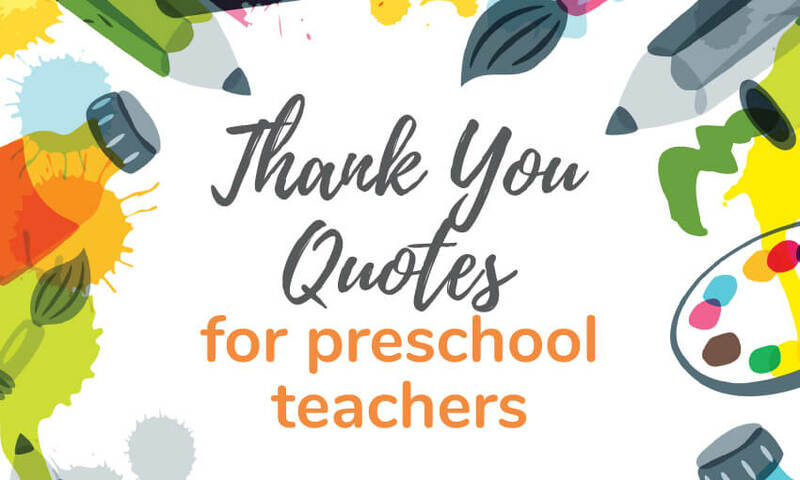 Teachers love inspirational quotes, and they will take those to heart when you have taken the time to write them into the letter. 4. How Do You Compose The Letter? You have taken the time to complete a letter for the teacher, and it should be handwritten in most cases. You could write the letter in your favorite pen, or you could write the letter in a calligraphy style that you have practiced over many years. You are trying to give the teacher and experience that they will appreciate, and the handwriting for your letter makes all the difference. The kids who write their own letter should be allowed to write in what medium they want. You might let your kid write in pencil, or you could allow them to write in crayon. You must let your kid ve as expressive as possible, and they will produce something that is good for the teacher. They will feel accomplished because they have been given this letter, and they will know that you have put so much work into it. This is a sample letter from a child that could help you get some ideas for the letter. It could be much longer, but we want you to know how to begin. Thank you for teaching me this year. I really liked being your class, and I will miss you next year. Thank you for the treats on Fridays, for letting us go to recess, and for being so nice. Love, Andy. A sample letter for parents is a little bit longer simply because there are more things to say. You could use this letter as a way to start your writing. Adults usually need more time to decide what to say, and you will have a lovely letter to give to the teacher when the school year ends. Thank you for teaching Timmy this year. I am so glad that he had a nice teacher like you. I love the way you are so kind to the kids and call them friends. I hope that you have the most restful summer. You are a true asset to our schools, and you will be truly missed in our family. If you never need anything from me, please do not hesitate to ask. Sincerely, Linda. 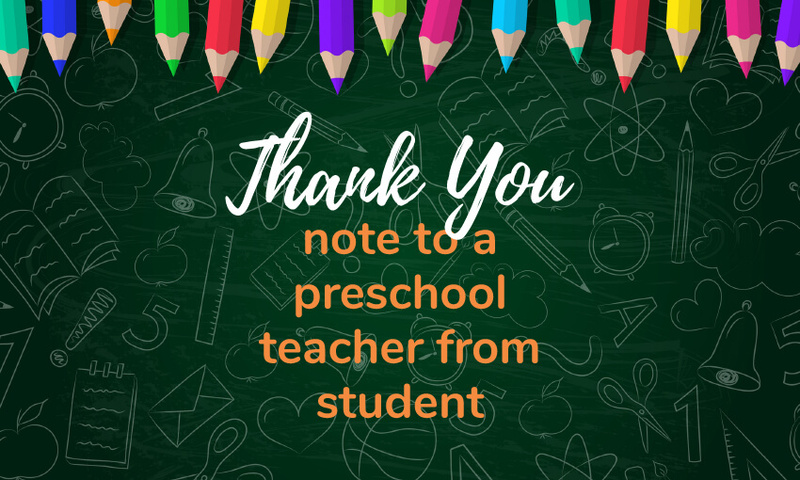 The letter that you write for a teacher at the end of the year or during teacher appreciation week must be something that the teacher will treasure for years to come. Use the format above to get started, use quotes where you can, and help your child write their letter when the time is right. This is also a great way to build your child’s self esteem. They will feel good because they are doing good. 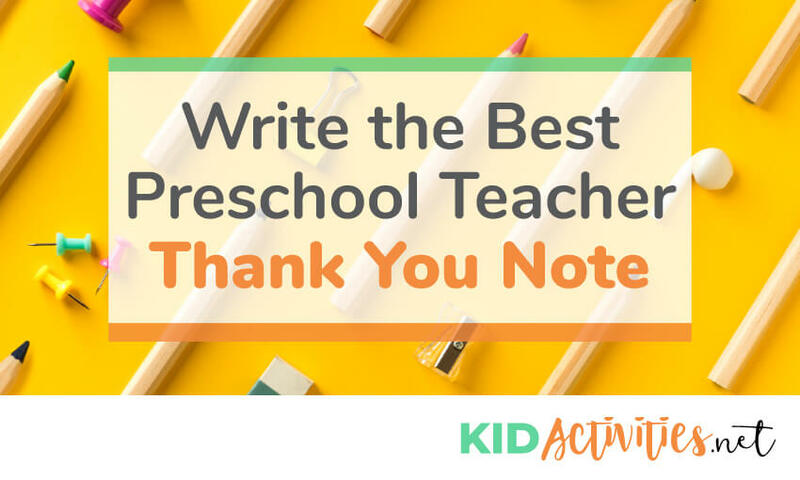 There you have it, How to write a thank you note to preschool teacher. Feeling kind and generous? Head over to our random acts of kindness page to see if there is some more good you would like to do in the world.